Princeton Theological Seminary was established in 1812, the first Seminary founded by the General Assembly of the Presbyterian Church. 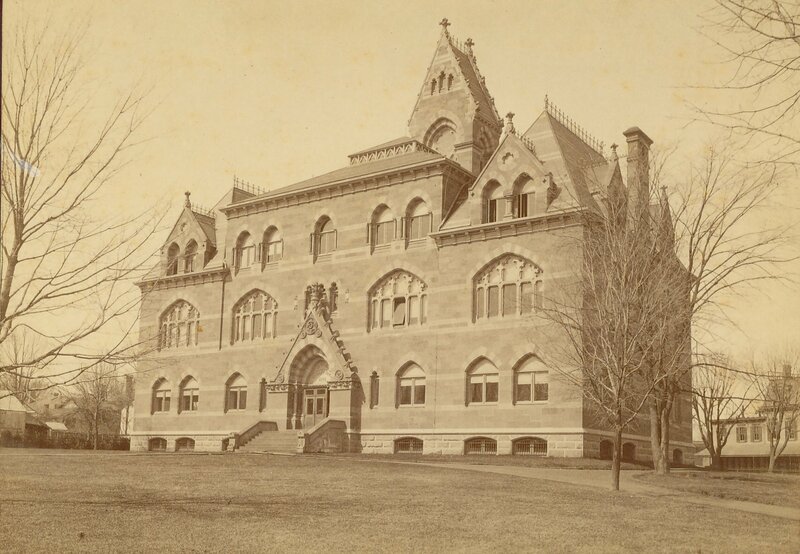 The establishment of The Theological Seminary at Princeton marked a turning point in American theological education. The College of New Jersey, later to become Princeton University, was supportive of this plan because they recognized that specialized training in theology required more attention than they could give. With fewer than a dozen students, in 1812 Archibald Alexander was the first, and for one year the only, professor. He was joined the following year by a second professor, Samuel Miller, who came to Princeton from the pastorate of the Wall Street Church in New York. So it was that Princeton Seminary deliberately defined itself as a school of “that piety of the heart,” a training center for church leaders of all sorts, which specialized in preaching, the cure of souls, evangelism, and missions. The other side of the piety-learning formula was equally important for the founders of the Seminary. The new institution was never described as a Protestant monastery or retreat, a place distinguished mainly for prayer and meditation. It was to be a school with teachers and students, library and books, ideas of the mind as well as convictions of the heart, all in the service of “solid learning.” The Reformed tradition, to which Princeton Seminary was and is committed, has always magnified intellectual integrity of the faith. Theology has been a highly respected word on the campus. Francis Landey Patton (1902–1913) came to the Seminary after serving as president of Princeton University. J. Ross Stevenson (1914–1936) guided the Seminary through some turbulent years and expanded the institution’s vision and program. John A. Mackay (1936–1959) strengthened the faculty, enlarged the campus, and created a new ecumenical era for theological education. James I. McCord (1959–1983), whose presidency saw the institution of the first center of continuing education at a theological seminary, the establishment of full endowment for twenty-six faculty chairs, and the construction or renovation of major campus residences and academic facilities, gave leadership to both the national and world church through denominational and ecumenical councils. Thomas W. Gillespie (1983–2004) increased the size of the faculty, including the establishment of nine endowed chairs, and significantly lowered the student/faculty ratio. Iain R. Torrance (2004–2012) led a curriculum review and revision of the Master of Divinity degree program, and supported the use of new technologies in administrative and academic areas. Under his leadership, the Seminary initiated an Office of Multicultural Relations and the Board of Trustees initiated a major capital campaign to build a new library in service to the church in the world, and new campus apartments for student families. M. Craig Barnes became the Seminary’s seventh president in January 2013. Prior to his appointment, he was on the faculty of Pittsburgh Theological Seminary and pastor and head of staff of Shadyside Presbyterian Church. He is widely respected as a preacher and pastor and has written eight books on ministry. He is deeply committed to the theological formation of pastors to lead the church in changing times.